Any use of a physical restraint in a nursing facility in Illinois is strictly prohibited without authorization and a signed informed consent by the resident or the resident’s responsible party (i.e. Power of Attorney (POA)). Even so, many nursing facilities fail to follow these laws and use physical restraints without authorization. In some cases, the restraint is used as a convenient device to minimize the level of monitoring in providing care to residents that have special requirements for ongoing supervision. 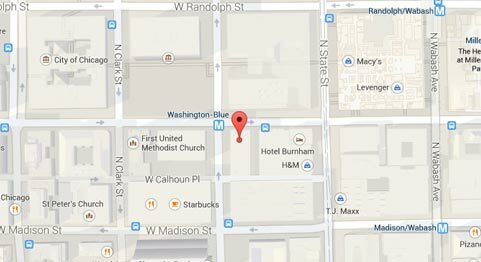 Rosenfeld Injury Lawyers LLC provide legal representation to abused residents of Illinois skilled nursing homes like Flanagan Rehabilitation and Health Care Center who have been physically restrained without legal authorization. As a part of the Peterson Health Care System, Flanagan Rehabilitation and Health Care Center provides around-the-clock nursing care along with memory care, Alzheimer’s care and the Peterson Pathways Rehabilitation Program. The Federal government and Illinois nursing home regulatory agencies routinely update the nursing home database system containing the complete list of all opened investigations, filed complaints, safety concerns, and health violations. This information can be found on numerous websites including Medicare.gov. In a summary statement of deficiencies dated 07/28/2015, a state investigator noted a deficient practice during an annual licensure and certification survey concerning the facility's failure to "assess, consent and follow physician’s orders for physical restraints." “Physical restraints… which the individual cannot easily remove and which restricts freedom of movement or normal access to one’s body… include… hand mitts. If you believe your parent, grandparent or spouse has been harmed or injured while residing at Flanagan Rehabilitation and Health Care Center, call Rosenfeld Injury Lawyers LLC now. 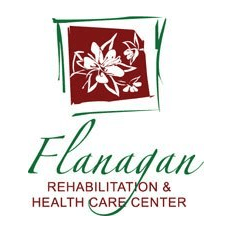 Our Flanagan respected attorneys have represented clients who have been abused, mistreated or neglected by caregivers and other residents at their nursing facility. We encourage you and your family to contact our Livingston elder abuse law office today by calling (888) 424-5757 to schedule your appointment for a full case review. You do not need to make any upfront payment for our legal services because we accept all nursing home abuse/neglect cases through contingency fee agreements. This means our legal fees are paid only after we have successfully resolved your claim for compensation by negotiating an acceptable out of court settlement or have won your case at trial.